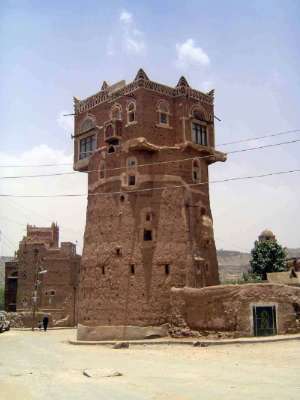 Wadi Dhahr, though barely beyond the outskirts of Sana'a, seems remote. 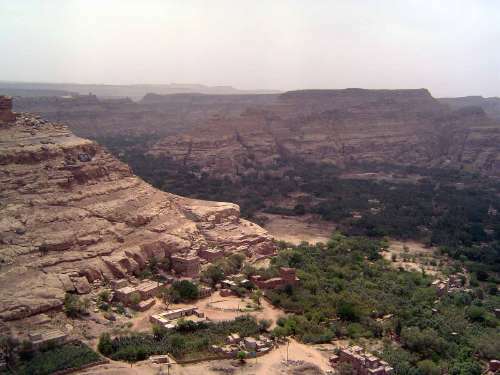 The wadi from the north or upstream end. There's a village at the mouth of the valley, perhaps five miles downstream from the last picture. 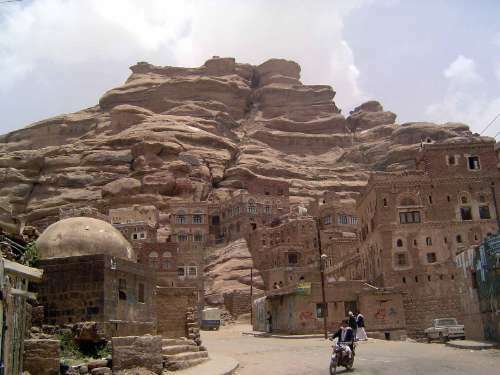 The village is also called Wadi Dhahr. A house built for a dangerous world. Rub your eyes. Go ahead. 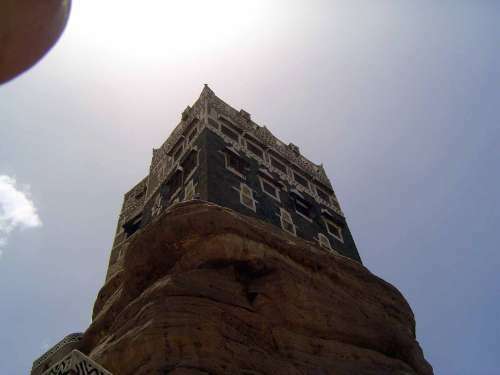 Atop a butte eroded to a single shaft, the Imam Yahya, who ruled from 1904 until his assassination in 1948, built the Dar al-Hajar or Rock Palace as a summer home. The place later became a museum. 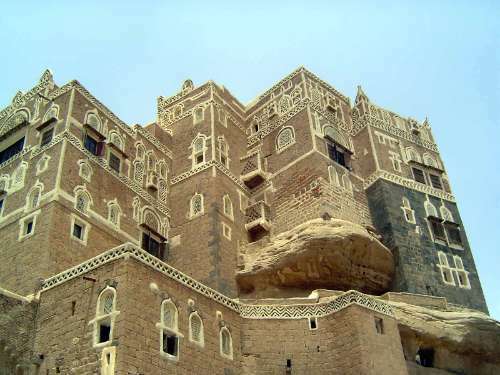 The government at one time had plans to convert the place into a luxury hotel with a rooftop casino. The view from the top of that footing. 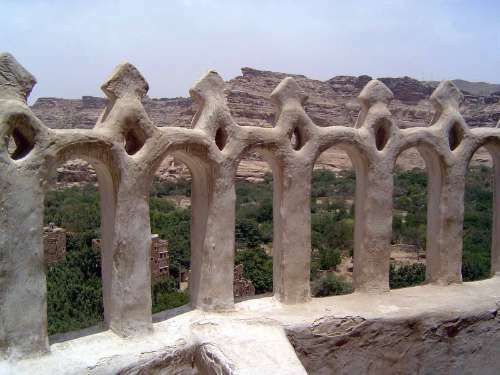 A terrace balustrade and an exercise in paleolithic anthropomorphism--or is that just nuts? 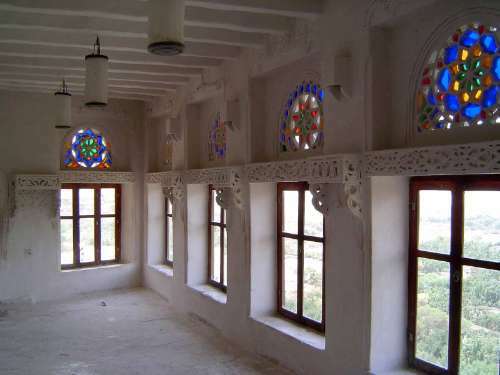 The rooms are bare and the stained glass not to everyone's taste. The exterior is more impressive. You didn't think it was so big, did you? Outside and waiting for customers: itsy-bitsy apricots. 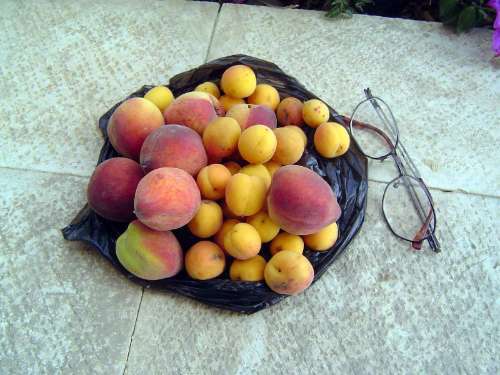 Water is scarce, so fruit is small.